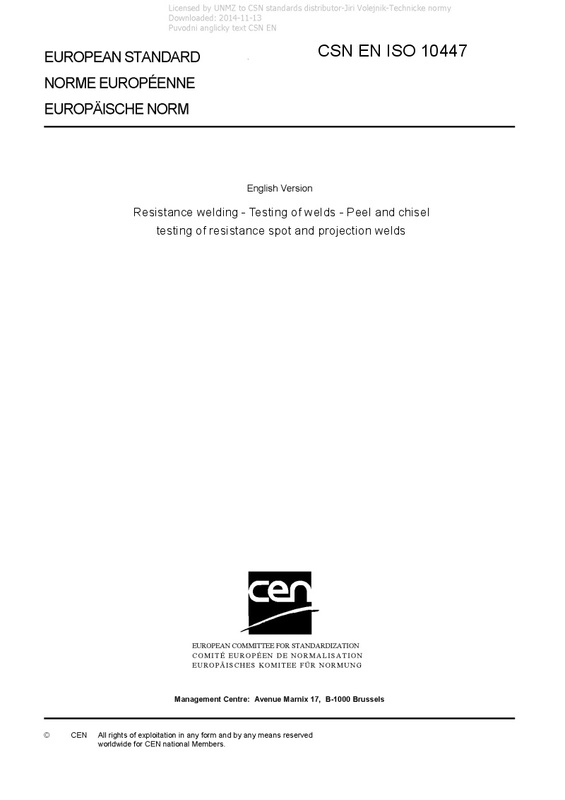 EN ISO 10447 Resistance welding - Testing of welds - Peel and chisel testing of resistance spot and projection welds - ISO 10447:2015 specifies the procedures and recommended tooling to be used for peel and chisel testing of resistance spot and projection welds. ISO 10447:2015 applies to welds made in two or more sheets in the thickness range of 0,5 mm to 3,0 mm. The aim of these tests is to determine - weld size and failure type when welds are destructively tested, and - verification of welds by non-destructive chisel tests.